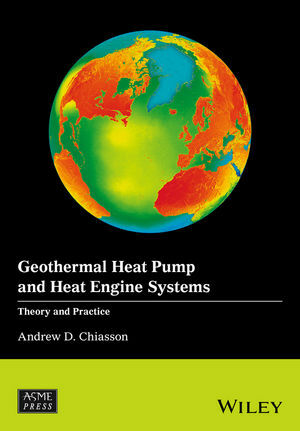 This book takes a unique, holistic approach to the interdisciplinary study of geothermal energy systems, combining low, medium, and high temperature applications into a logical order. The emphasis is on the concept that all geothermal projects contain common elements of a "thermal energy reservoir" that must be properly designed and managed. The book is organized into four sections that examine geothermal systems: energy utilization from resource and site characterization; energy harnessing; energy conversion (heat pumps, direct uses, and heat engines); and energy distribution and uses. Examples are provided to highlight fundamental concepts, in addition to more complex system design and simulation. Companion website containing software tools for application of fundamental principles and solutions to real-world problems. Balance of theory, fundamental principles, and practical application. Interdisciplinary treatment of the subject matter. Geothermal Heat Pump & Heat Engine Systems: Theory and Practice is a unique textbook for Energy Engineering and Mechanical Engineering students as well as practicing engineers who are involved with low-enthalpy geothermal energy systems. Andrew Chiasson is a faculty member in the Department of Mechanical & Aerospace Engineering, University of Dayton, where he teaches courses and conducts research in the areas of thermofluid sciences, and renewable and clean energy. He has academic and professional practice experience in a wide range of geothermal and hydrogeologic applications related to geothermal heat pumps (geoexchange), direct-use geothermal, small-scale electrical power generation, hydrogeological site evaluations, and groundwater flow and mass/heat transport modeling. Dr. Chiasson has been extensively involved in research and development of design and simulation tools for optimal earth heat exchanger coupling, hybrid geoexchange systems, and underground solar energy storage. As a Professional Engineer in the United States and in Canada, he has designed numerous closed and open-loop geoexchange systems and HVAC systems for a wide variety of building types. He is a member of ASHRAE Technical Committees and is an IGSHPA Accredited Ground Source Heat Pump Trainer.